You all know by now how exciting it is when this box arrives on my doorstep, this months box so packed it was literally bursting open! It smelt amazing and i couldn't wait to try the products out. 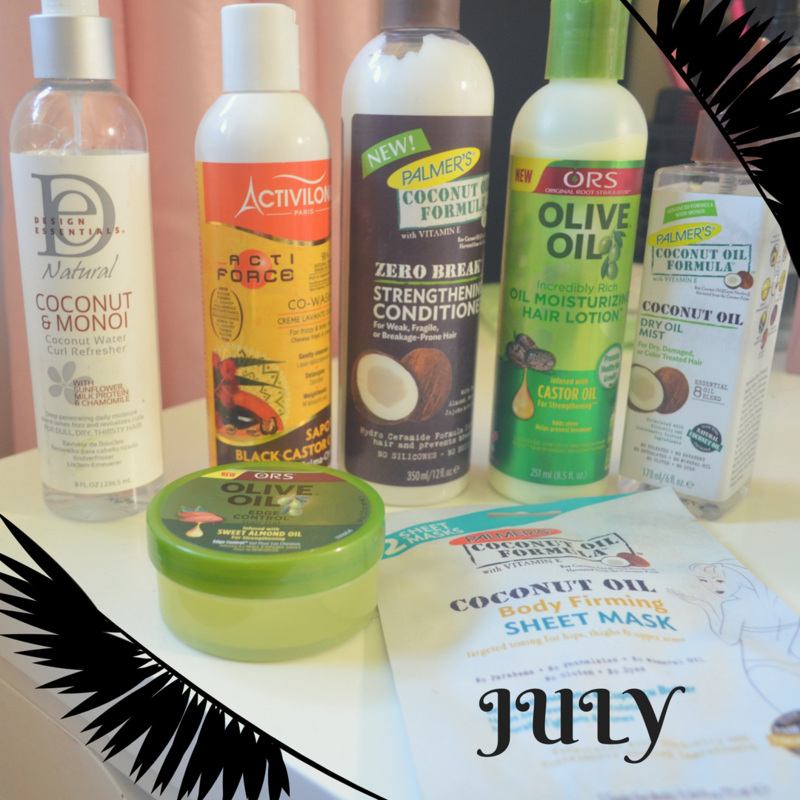 With more new products from trusted brands it was a coconuty olive haven. TreasureTress introduced us to french brand Activilong paris, back in April with the leave-in conditioner. You can check out my review on that by clicking here. They are back bringing us this time the black castor oil co-wash. This co-wash has a really fresh scent to it which is not over powering and over perfumed in anyway. I am a fan of co-washes so couldn't wait to try this one out. I found that it was super hydrating to my hair! My hair was so easy to manage and i was able to finger detangle and then comb my hair easily. I used this on a day 5 wash where my hair was quite tangled, and it made everything so much easier. Any tangles just melted away. My scalp felt clean and my hair looked as if it had been through a full wash day, not a co-wash.
Would i repurchase this? Yes. I really like this co-wash a lot. It will always have a place on my shelf. Excited to try more from the brand! "Deep penetrating daily moisture blend tames frizz and revitalizes curls"
This is a product which i have actually purchased before. I saw Nia using this in a curl video back when she went by the name frogirlginny, and it looked like magic. I had to get some. I was impressed so i am glad to see it was in this months box. On a lazy morning this spray is perfect to spritz onto my pineapple and give it a little scrunch to bring curls back to life if they have gone a little flat from sleeping. It smells great and the smell lingers in your hair all day. Would i purchase this? Yes. I purchased it the first time round and will again in the future. The smell of this olive oil product just brings me back memories of the days i wore my hair straight. It was these products which i reached for, a fave being the olive oil sheen spray which i occasionally still use on my hair. 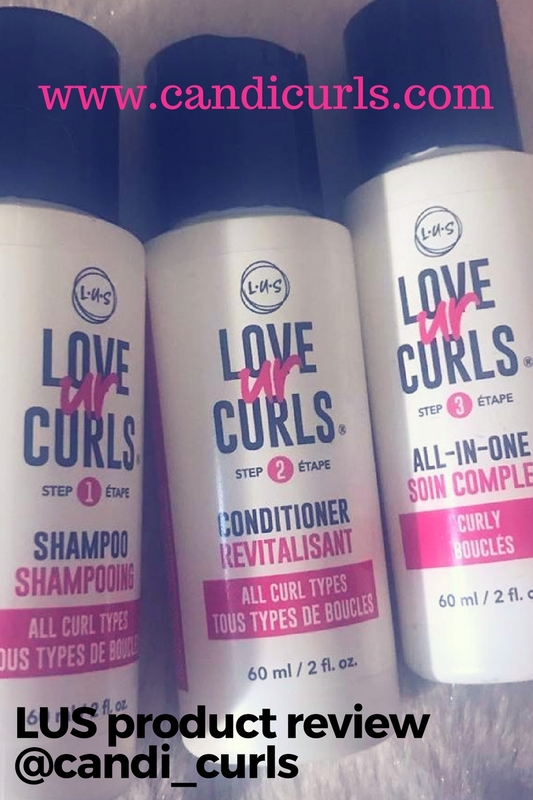 I have never used other olive oil products on my curls, but i am a fan of the brand ORS with their products taking up a large portion of my room i am yet to be disappointed by them. I found that this did hydrate my hair, but it did nothing for curl definition. I would more likely use this on straight hair or when braiding my hair instead, maybe even for an updo, but it isn't something i would reach for a wash and go. Would i purchase this product? If i was wearing my hair straight then yes, but not for curly hair like mine. Another product by ORS with this edge control gel. This time the product doesn't have that typical scent the other olive oil products due, infused with sweet almond oil, it smells sweeter. I am not a huge fan of edge gels in general. I lack the skills and patience, to style my edges. Not to mention the lack of edges to begin with. I of course gave it ago however for the sake of this review. I don't know if it was the products i had on my hair already or the actual gel itself, but the section i tried to smooth it out it turned into flakes. I found it was sticky and just clumped so badly i had to rinse it out with a spray bottle. Would i repurchase this? No. I'm going to try it again with other products but it didn't impress me at all. "Hydro ceramide formula fortifies hair and prevents breakage." Palmers is such a trusted household name. A brand i grew up using the skincare range from. And a brand i have used a lot! This zero break strengthening conditioner is a new one from the coconut oil formula line and you KNOW it smells delicious. It is thick and creamy and provided so much moisture to my hair it had me saying wow out loud. I didn't need to use a lot of this (shocking right) and my hair was easy to manage and left feeling so soft. I used this when i washed my hair the second time after swimming and it restored all of the moisture i had lost. So much slip, detangling was a breeze. Would i repurchase this? Yes. I loved everything about this. Another coconut oil formula product from palmers comes in this dry oil mist. This was the first product i tried in the box, because i love a good spray. It carries that same yummy coconut oil smell and hydrated my curls perfectly. It left me with shiny curls which were moisturised and bouncy. It is a spray which can be used as a refresher, or as a sealant at the end of the styling process, as well as being a great size to fit in my bag for refreshing on the go. Would i purchase this product? It is one i have and will purchase. The whole brand is very easy to get my hands on in stores around me, as well as being affordable and trustworthy. Targeted toning for hips, thighs & upper arms. Brazillian Guarana & Cupuacu Butter helps improve microcirculation. Naturally tightens and tones." A little bonus product from Palmers, comes in this firming body sheet mask. I have never heard of a sheet mask before so was very intrigued by this one. Inside the pack you get 2 sheet masks which can be used together, or you can seal one up to use later. They are coated in product and feel quite gooey. You unravel them and place them on target area, smoothing on and leaving for 10 mins. Then you remove it and massage excess product into the skin. I chose to use this on my upper arm area. It was quite difficult to place it exactly where i wanted with one hand at first. After a few moments the mask sheet starts to go a little cold which gives off a weird tingling sensation. This is mentioned on the back so is normal. 10mins past and i removed the sheet and massaged product in as directed. My skin was left feeling very soft and firm. Did it tone the area? I honestly can't tell, but the skin does feel firmer. Would i purchase this? Yes i am so interested to see how many masks it takes to notice a difference in toning. Did you count the products? The guys in the office at Treasure Tress really spoilt us with this one, 7 products are included to keep us going until the next one! I have done a price check and the retail price of this box is around £43.76 and instead i got it all for £20! If you haven't signed up for treasuretress yet make sure you do and if you use the code CANDI10 at the checkout you can even save yourself some pennies while doing it. TreasureTress is a monthly subscription service which brings you a box with 4+ full sized products straight to your doorstep, every month, for just £20 a month (p+p). It is the perfect way to try out new products and brands without breaking the bank!